Google maps is a great app. to check for a view of a city street or to see where the mountains might be. 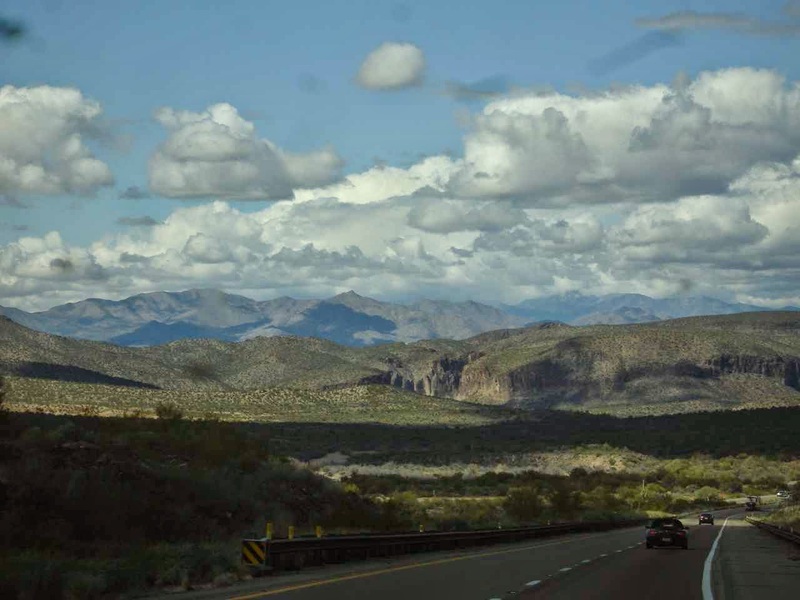 But, we are still amazed and surprised by some of the roads we travel. 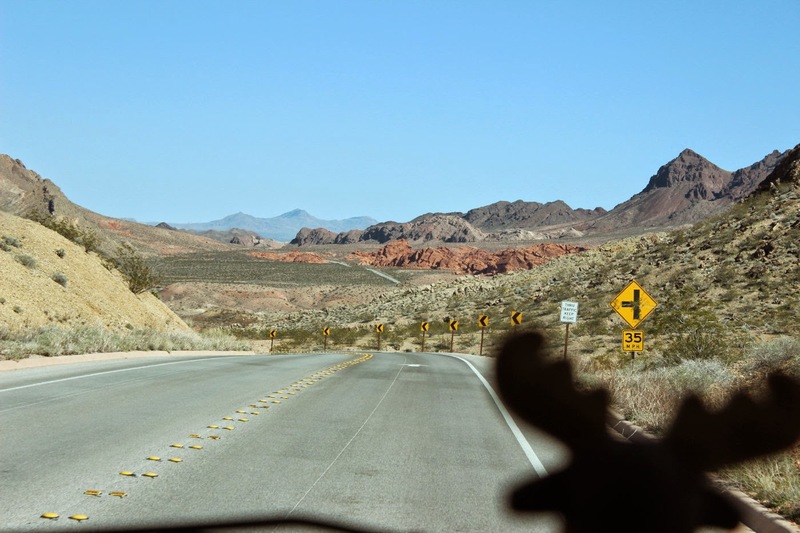 This is a picture from Route 93 as we headed out of Congress, Arizona up to Katherine Landing(again) on Lake Mohave. 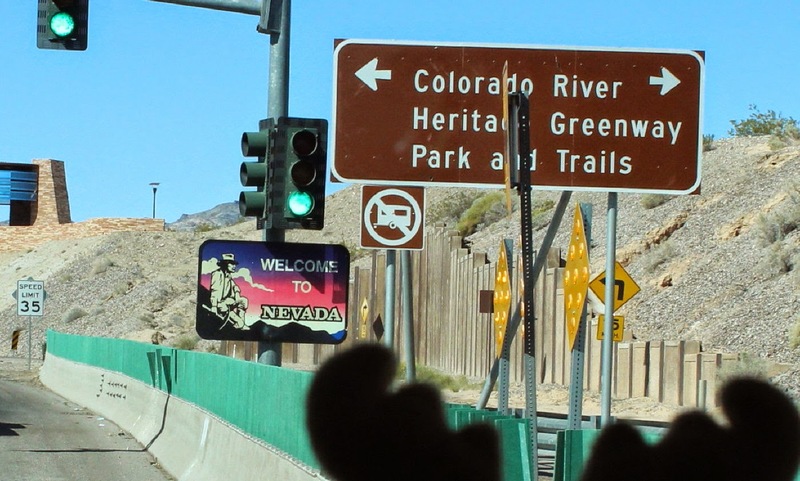 From Katherine Landing, Jan and I decided to cross the Colorado River into Nevada and head north to the Hoover Dam on Route 95. Eustis is concentrating so hard on the road! 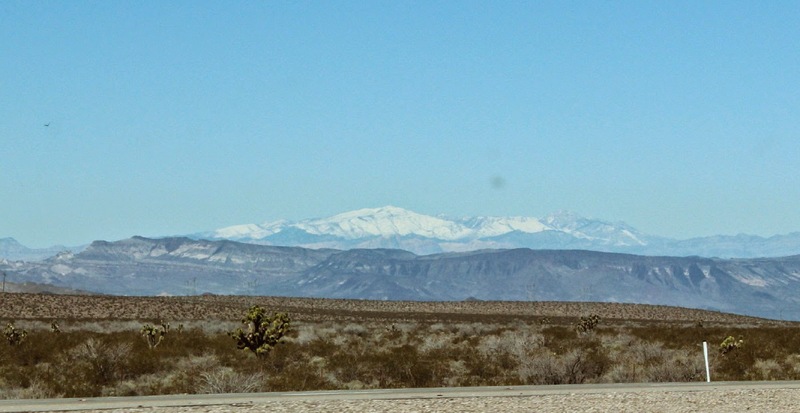 Way in the distance are the snow covered mountains west of Las Vegas. So glad we don't have to go over those. 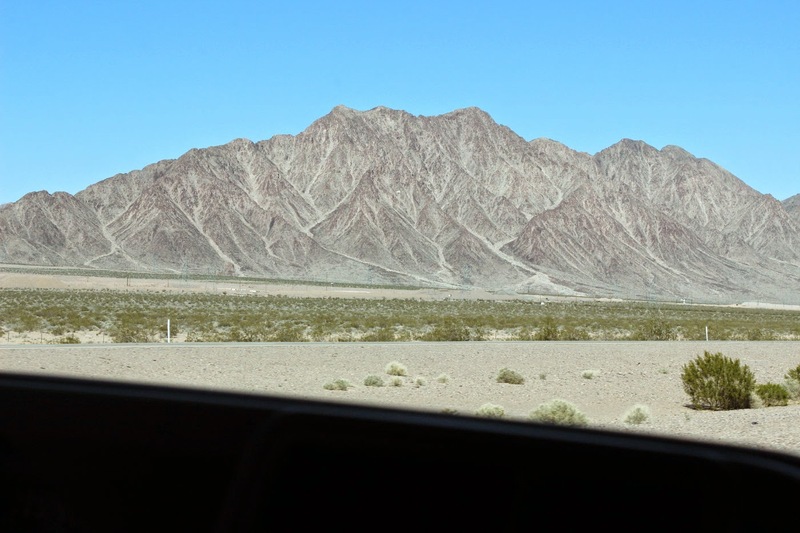 Approaching Boulder City, we can see mountains like these. 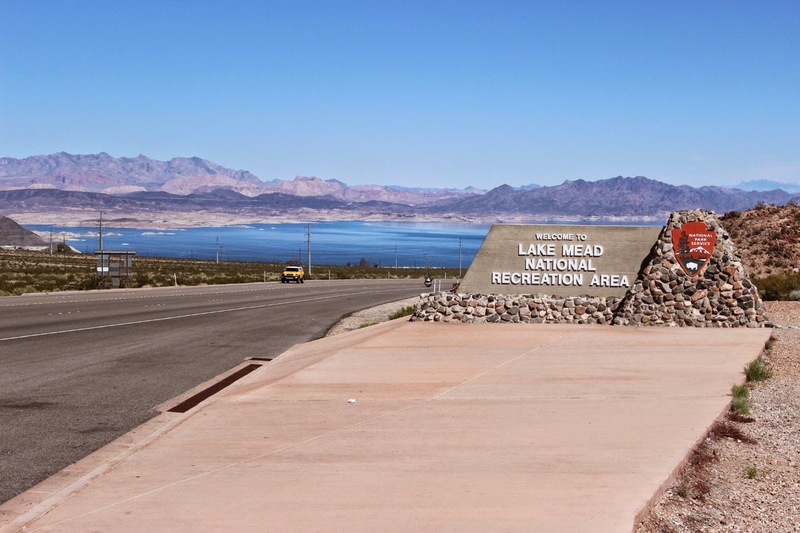 After such a ride through the high desert, it is a surprise to top the hill out of Boulder City and see a large Lake Mead. 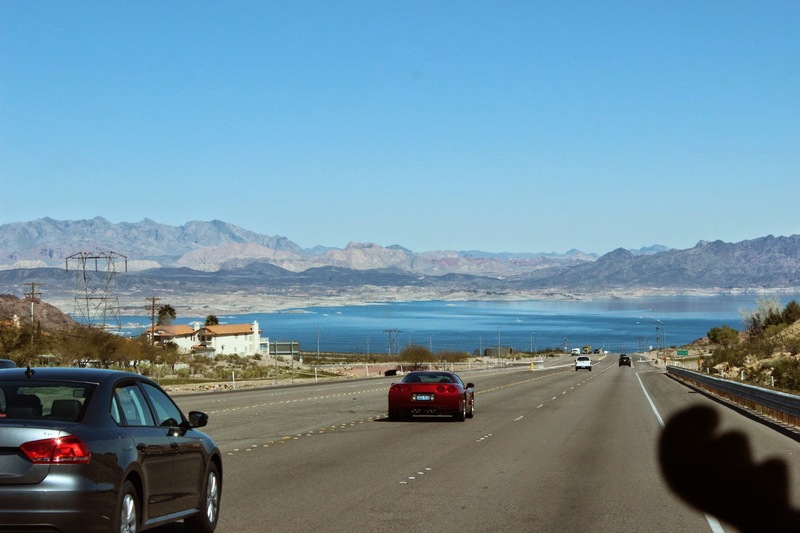 Actually, a small part of large Lake Mead! Katherine Landing was on the Colorado River on Lake Mohave and was also part of the Lake Mead National Recreation Area. 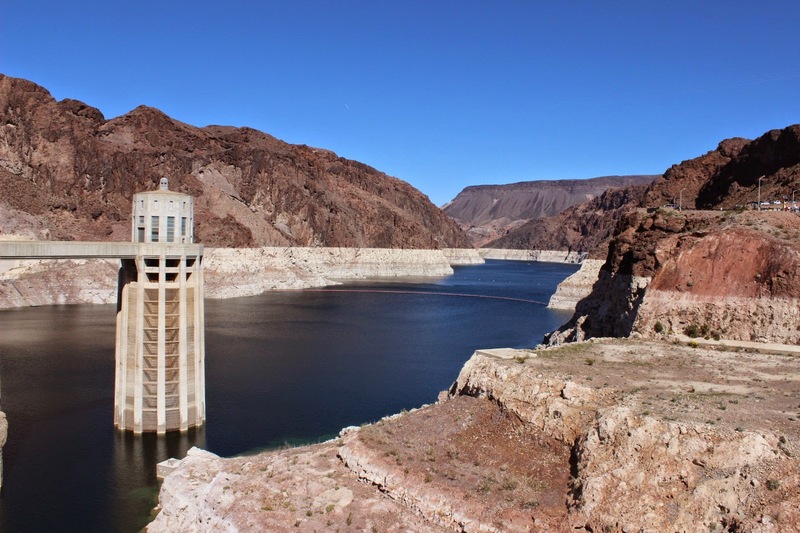 Lake Mead was created in the 1930's by the construction of the Hoover Dam, first known as the Boulder Dam, on the Colorado River. It is a challenge to follow the Colorado River out of Colorado. 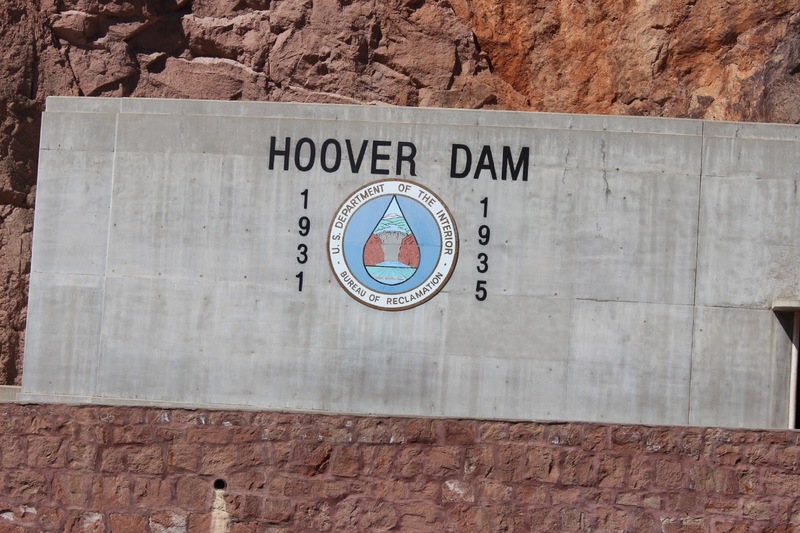 It flows south, west, sometimes north, before it reaches the Hoover Dam via the Grand Canyon. Just seeing the Grand Canyon and this flow to the dam(looking north) you have great admiration for explorers like John Wesley Powell crashing through the rapids and deep canyons back in 1869. Check this summary The Powell Expedition. 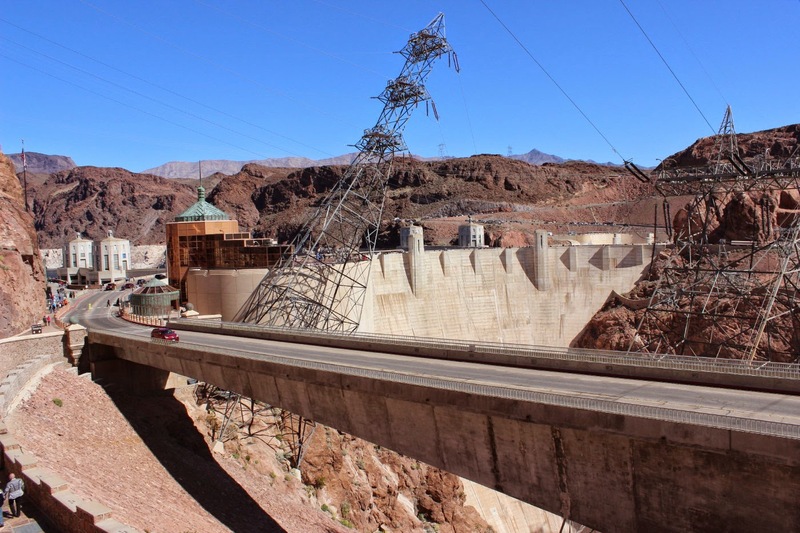 During the Depression many people argued against the wisdom of some of these huge building projects in the U.S. west like the Hoover and Grand Coulee dams. But they gave work to thousands and thousands and were there for water and electricity when it was needed decades later. Looking north from the Arizona side of the dam, you see the giant entry towers. The white on each side marks the water level over the years. The lake is down about 133 feet right now. 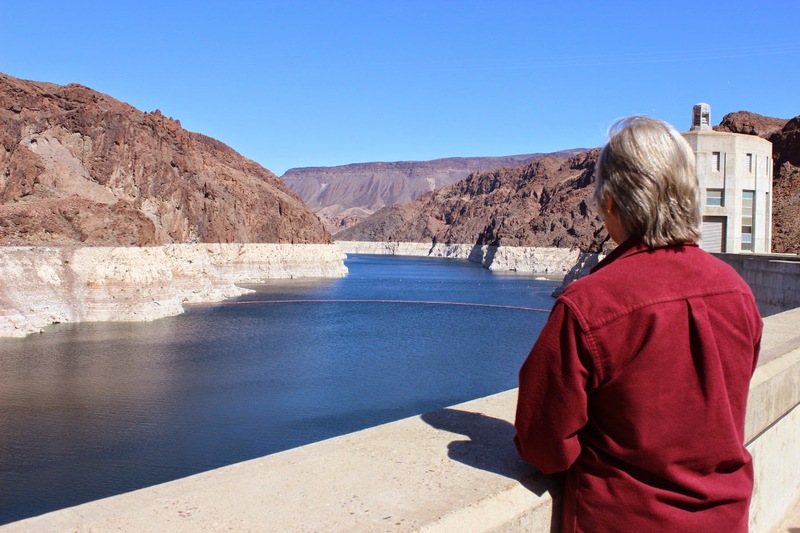 A fellow we met who has worked at lake Mead for over 20 years remembered when the water was up to the dark area and the top of the spillways. There is a tourist boat in the distance---a tiny speck from this view. There is quite a tourist business here. More so than what we saw at Grand Coulee Dam. 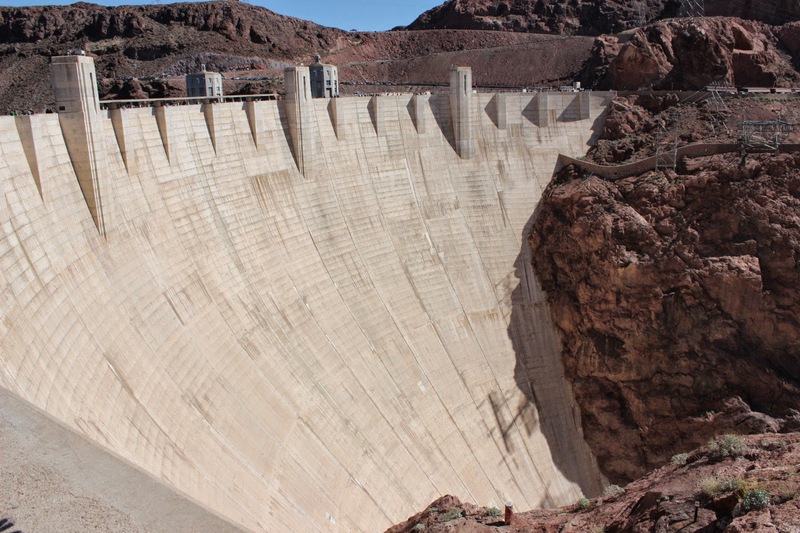 But then, this was the largest dam in the world when it was completed. Quite an engineering feat. This climber statue is one of the memorials here. The conditions were quite difficult with the heights and the carbon dioxide filled tunnels. A number of workers died during the construction. This view is from the Gift Shop area. The leaning tower carries the electric wires up from the power generating plant. The road is a newer addition to move the traffic away from the gift area. There is little traffic here , because a new bridge had to be built after 9/11 to keep traffic off the dam. 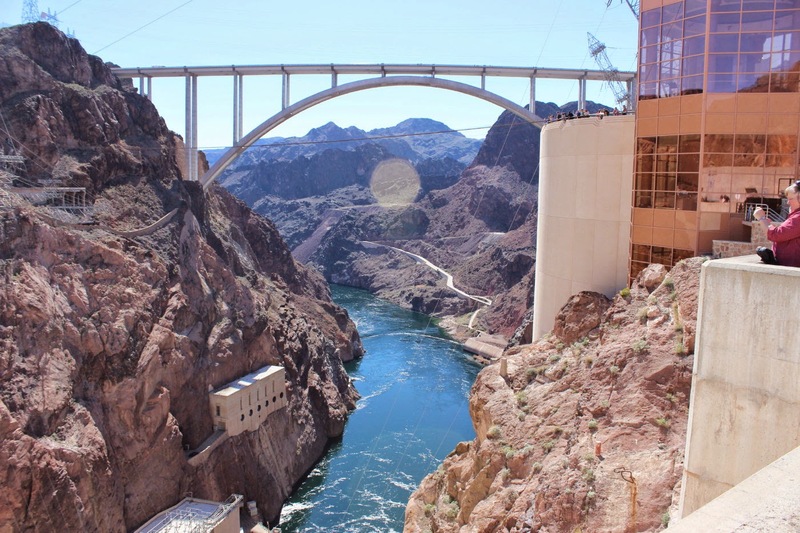 It may be much older now, but the Hoover Dam is still a very impressive sight!! This is the view looking south from the dam. The Visitors Center is on the right. Jan is looking from the nook in the road to the right. 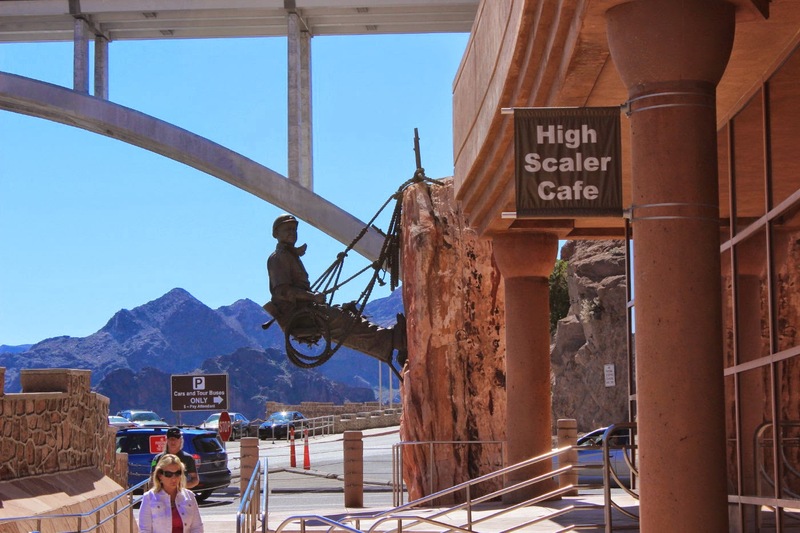 You can see a number of people on the jutting cement lookout beyond the Visitors Center. The bridge was built in the 1990's to keep traffic away from the dam. There is a lot of traffic on Route 93. 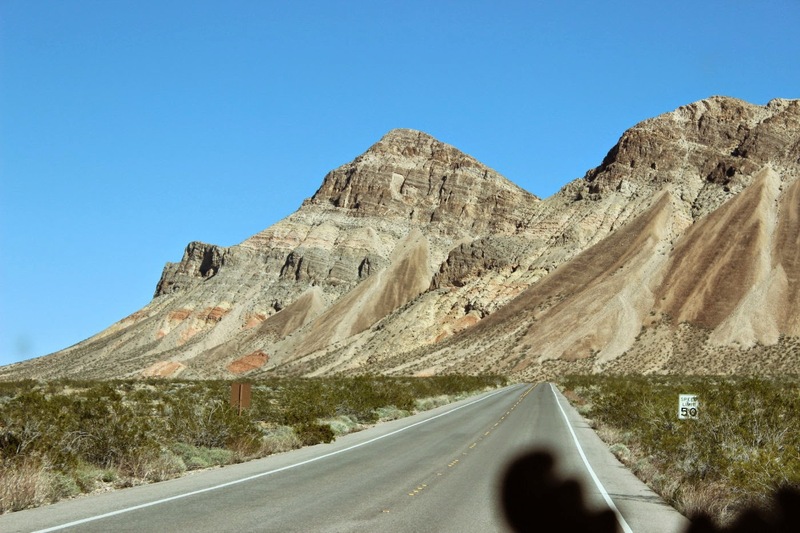 The north and south view will really make you aware of some of the challenges in channeling the Colorado through a fairly narrow passage of rock. Note one of the power plants cut into the rock on the lower left. 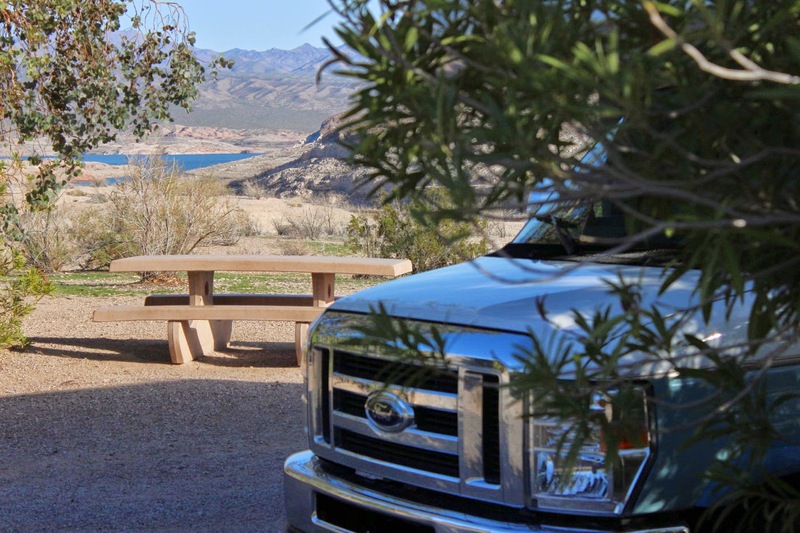 A short distance up the west side of Lake Mead on Lakeshore Drive brings us to Boulder Beach NRA campground. Even though the lake is 133 feet down, the view is nice. 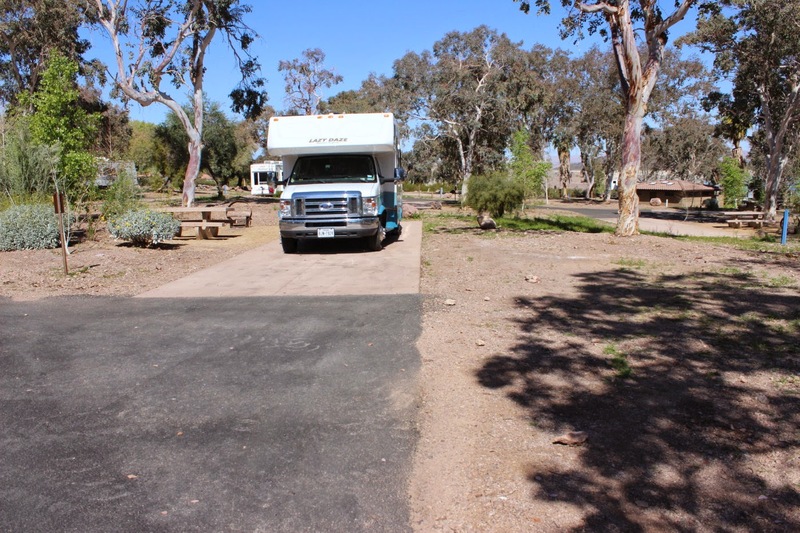 Like Katherine Landing, these are dry camping spots at $5 per night for senior pass. 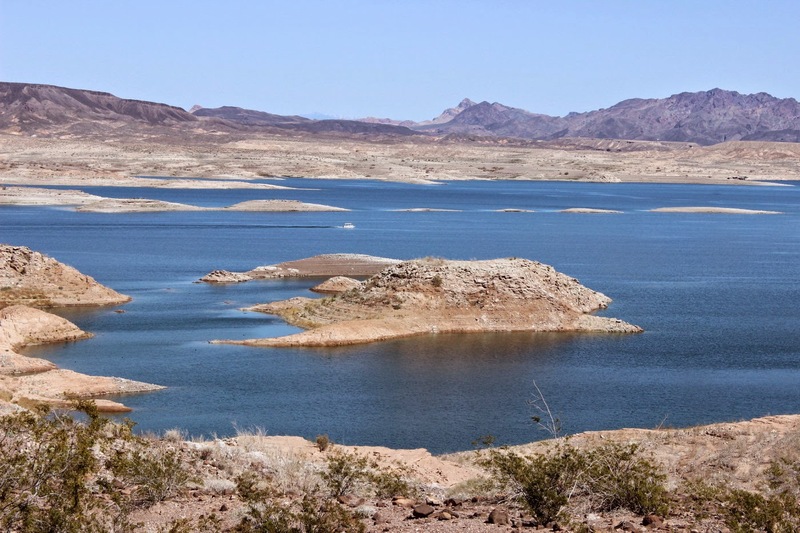 In this view of Lake Mead, you can see a good sized boat just beyond the island. Even with the lower lake levels, there is good fishing and boating. Along the drive, there are few stops. 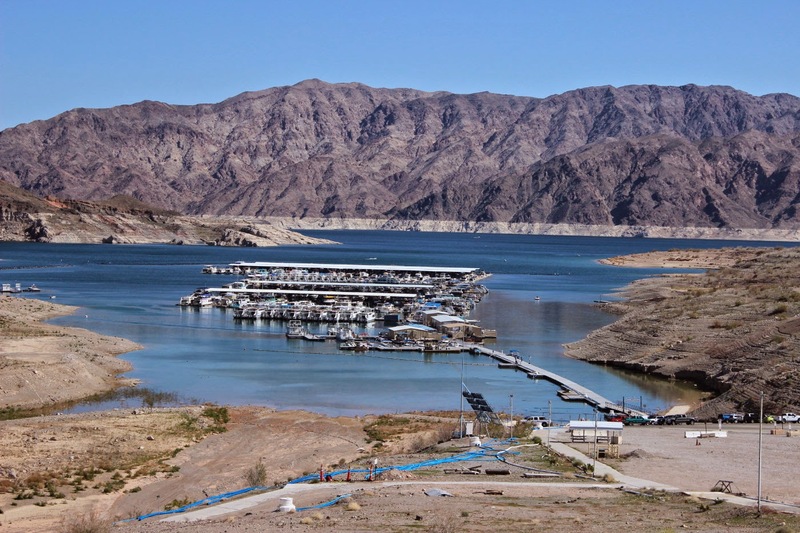 Here, at Callville Bay, is a very large marina. You can see how they placed the floating docks out into the bay to eliminate any concern on lake levels. As you would expect, some boat ramps are high and dry. 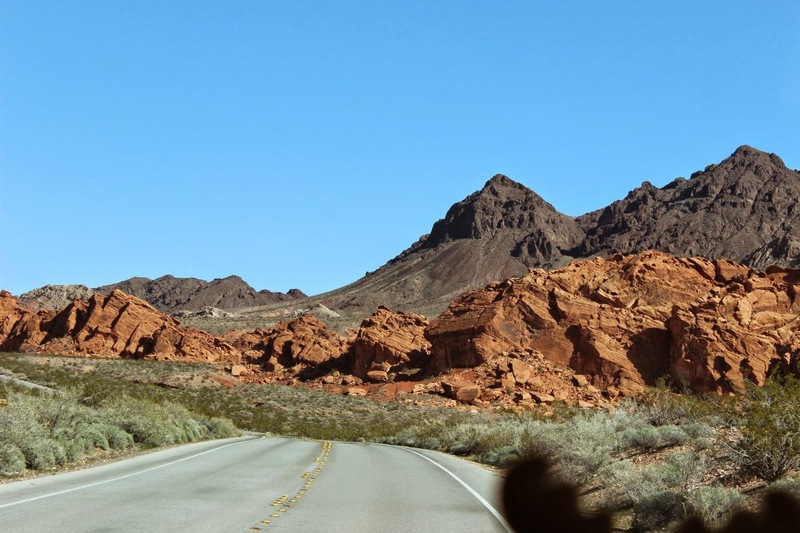 Toward the north side of Lake Mead, we are traveling on Northshore Road. 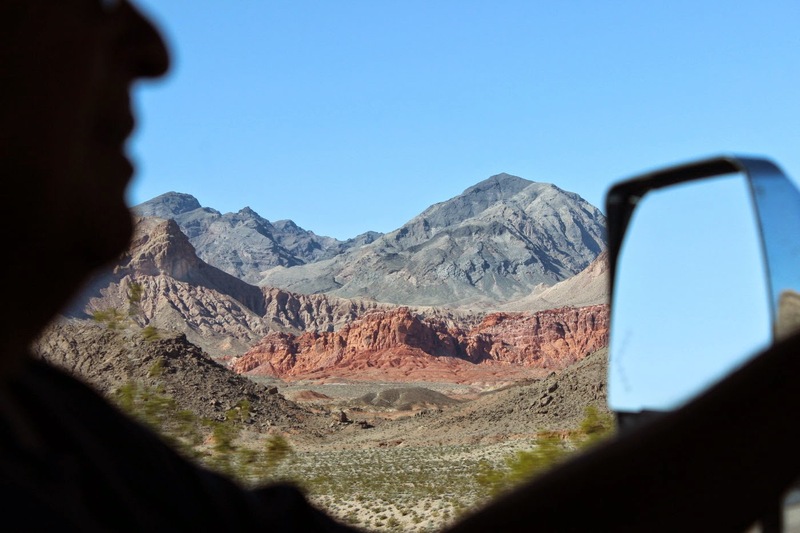 We are now heading up to Echo Bay in Overton, Nevada. A very quiet road with some great views. Some of the rock colors are changing. These formations go back millions of years. Hard to believe that this was under water at one point. Keep a good lookout there Eustis!! Lots of curves and hills. We see more motorcycles than cars this day. So, why am I thinking of homemade chocolate?? We are not rockhounds, but still we appreciate the forces needed to turn these layers of rock vertical. Lady Blue is quite relaxed in a quiet spot at Echo Bay NRA Campground. Very quiet for the weekend with the exception of a few Spring Break campers.